Julianne Moore is an artist ambassador for Save the Children. Growing up an “army brat,” Moore lived in various locations around the country and saw firsthand the inequality that exists in education. An avid reader, she also recognizes the important of literacy. To that end, Moore – a children’s author herself – travels to rural areas to read to children. She is committed to fighting poverty in the US – where one in five children live below the poverty level. To find out more about fundraising and doing more to help others, visit Savethechildren.org. Here are some behind-the-scenes photos of Alina Cho's interview with Julianne Moore on her work with Save the Children. To find out more about fundraising and doing more to help others, visit Savethechildren.org. CNN National Correspondent Jason Carroll has been given unprecedented access by the Pentagon as President Barack Obama outlines a new strategy for the war in Afghanistan. Jason will preview the series this week on "American Morning" and the hour-long documentary will run on Saturday, December 18th at 8:00pm ET, and again on Sunday, December 19th at 8:00pm ET. Click here to learn more about the soldiers profiled in the documentary, see a gallery of images of each subject and learn more about the war in Afghanistan. See the progression of Will McLain as he goes from civilian to soldier, CNN's Jason Carroll gives us a sneak peek. 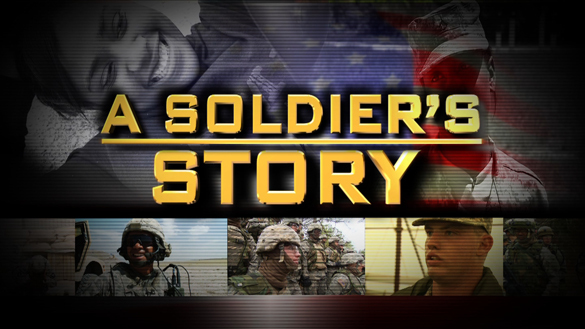 Watch Will's full story on "A Soldier's Story," airing on CNN Saturday, December 18th and Sunday, December 19th at 8:00pm ET. Edward Norton is a longtime advocate for various causes, so much so that he is cited in this year's Barron’s "Top 25 Givers" alongside Bill and Melinda Gates – the ONLY celebrity on the list. Norton's latest project is Crowdrise, what he calls the "Facebook of philanthropy." Crowdrise is an innovative new web platform that brings the fun of social networking to fundraising and volunteerism. Like Foursquare, members can earn points and win prizes when they reach certain fundraising benchmarks. "We've created a fun and easy way for people to raise money for the causes they care about," Norton says. He is particularly interested in inspiring a new generation of givers. To find out more about Crowdrise's fundraising efforts, visit Crowdrise.com. Facebook CEO and co-founder Mark Zuckerberg has been named TIME magazine's person of the year. Time senior writer, Lev Grossman talks to CNN's American Morning about the pick.